This Labor Day we woke up early and slaved away to produce this less-than-epic sandwich. 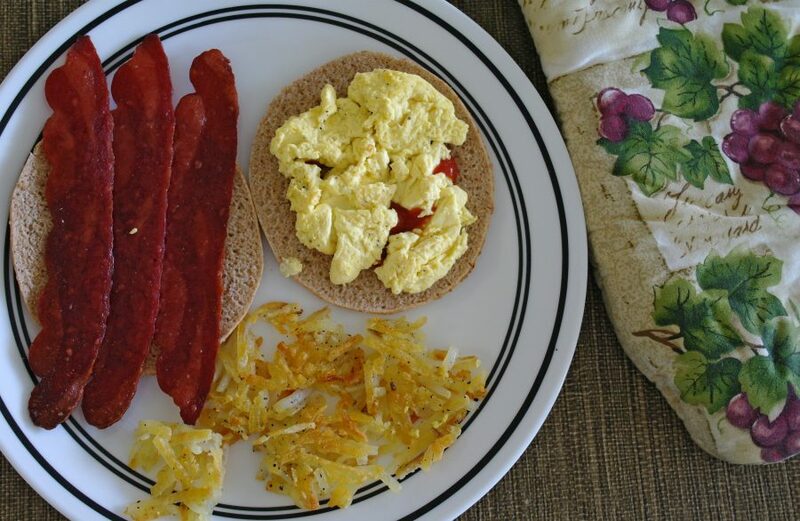 Baked, crispy turkey bacon contrasts the semi-tasteless three-cheese Egg Beaters. Put it on wheat bread to complete the healthy sandwich. Maybe it could be healthier, but it’s a step in the right direction. After all, the rushing around we had to do to not burn the eggs and to crisp up the potato sides must have burned off a few calories from our other indulgences over the holiday weekend. Get out there and take a few laps around the block before you grill up those hot dogs, because summer’s almost over and our hibernation period is right around the corner.